We specialise in taking the strategic and turning it into practical reality for customers of all sizes around the world, from the design, development and integration of collaboration and social communication products to Data Analysis, Security and Enterprise IoT. Turtle brings you extensive technical expertise, working with IBM and associated technologies for on-premises and cloud, and focused around social software, security, and the internet of things. Everyone benefits when a community works together to share expertise and learn from each other. We deliver responsive app design for web, desktop and mobile. Our systems often encompass complex financial, scheduling, analysis and reporting aspects built by talking to business teams and translating what they need into a great design. Design installation and support for on-premises and hybrid apps and mail systems. We deliver projects designing architecture and performing server consolidations. Integrating IBM Domino on premises with IBM Smartcloud deployments to build a hybrid system that provides best of both worlds solutions with managed on premises servers for some users and cloud based services for others. Design, installation, maintenance and support of all IBM Sametime components, DB2 and WebSphere. We work with customers to review their mail and collaboration architecture providing a risk assessment and mediation plan to resolve any issues. Review of cross-system data exposure and GDPR planning. Small business GDPR advice and targeted business workshops designed to quickly get your business up to speed on your potential exposure under the new regulations and with a plan - not a complex set of solutions - you can actually use. Mike's specialities are design and project management as well as leading the development of new business solutions. 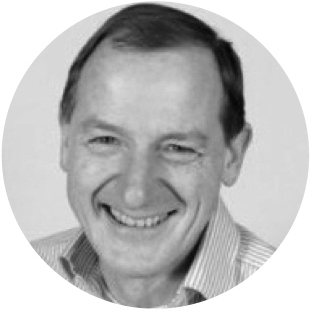 He has been a driving force in the UK and European Business Parter communities as well as the Penumbra community and a member of the Institute of Directors for nearly 20 years. Mike was selected as an IBM Champion for Collaboration in 2015, 2016 and 2017. Tim has been working in application design and development for over 20 years with a wealth of experience in development of both on-premise systems and cloud and mobile solutions. His focus is on application design and usability, making use of the best technologies and tools to meet his customer's requirements. Whether it’s application development, system installation or support, we bring business expertise and a goal of building long term partnerships with our customers.